Logistics companies are always on the lookout for ways to increase the efficiency with which they operate on every aspect of the supply chain. The ability to tap into real-time data – and collect it more effectively – is what will bring warehouses and factories more success as time goes on, so having the ability to continually fine-tune that process with the latest technology is vital. At this point, today's technology allows logistics firms to start collecting data for their shipments before they even arrive at the facility, according to Logistics Management. Shipping companies large and small are now investing more heavily in technology that allows delivery trucks to be tracked every step of the way when en route from one location to another, and that helps to make the entire supply chain more efficient because it gives the receiving companies more lead time to plan how they will handle an incoming shipment. The data that's being generated by tracking a growing number of supply chain aspects is helpful for everyone within that supply chain, from initial shippers to receivers to the recipients of subsequent shipments, the report said. This kind of mobile data collection simply helps to identify inconsistencies and inefficiencies throughout the various shipping processes items may go through, and gives companies greater agency to address those issues directly. However, this also necessitates continued investment in tracking. "Using sensors – and the data that they generate – shippers can hopefully make better business decisions," says Simon Ellis, practice director at IDC Manufacturing Insights, told the site. "This is just one trend that's making the use cases for IoT and mobile deployments more valuable as a whole. As data becomes more common and more available, the need for more mobile technology in the field is also expanding." 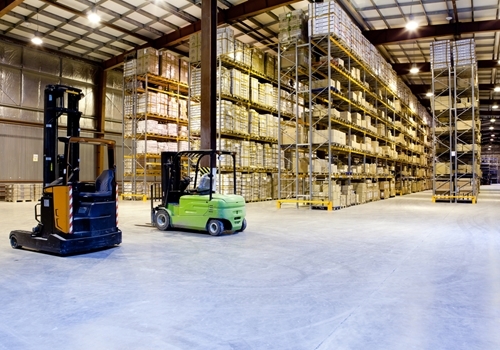 With this in mind, it's wise for logistics firms to look inward when it comes to addressing their ongoing efficiency needs, and devote resources to making sure mobile tracking is in place to not only put together operational data, but make that data actionable in real time, according to Advanced Manufacturing. The ability of any company – through its ERP system and apps connected via the internet of things – to provide the best possible data to employees about paths to take through the warehouse or how best to get their picking efforts completed. The same is true when it comes to outfitting a warehouse's heavy equipment, according to Modern Materials Handling. In much the same way real-time data can be collected and made actionable for workers, applying the idea to forklifts and other equipment can likewise go a long way toward boosting operational efficiency. And where some equipment is concerned, it can also improve job safety. In general, companies should always be looking for ways to make more informed, better decisions about how to make the supply chain run as smoothly as possible. Mobile data collection can be a crucial part of those efforts, and is only likely to grow in popularity industry-wide in the years ahead.